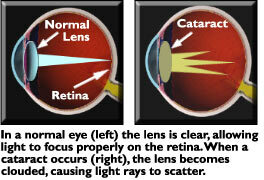 the development of a cataract in the eye causes the lens to become opaque, effectively blinding the fish. This can be caused by diseases such as eye fluke or by physical damage. It is generally an irreversible condition.